WAFFLES: I'm practicing my invisible super powers. 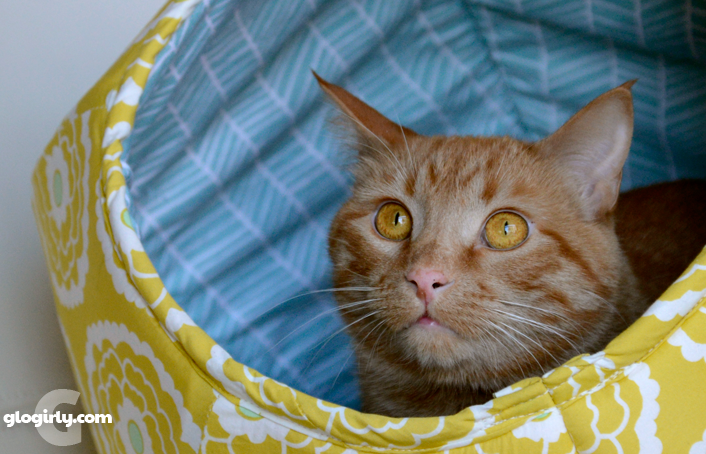 Whenever I'm inside my Cat Ball, no one can see me. Glogirly can't find me, the Boss is all "Where's Waffles???" Ok, so the Boss never actually said, "Where's Waffles." WAFFLES: Of course my theory of invisibility needs a little bit of work, what with my 15" tail and all. WAFFLES: I'm not really here, Boss. You just think you can see me. KATIE: You mean like I think I can whap you? 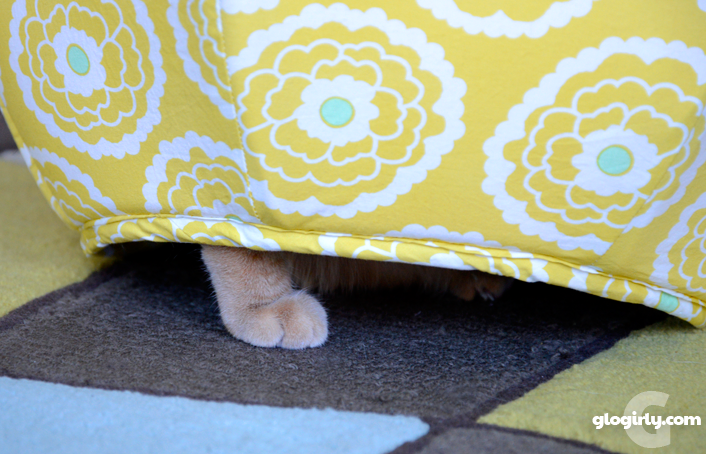 WAFFLES: I guess my whole invisibility thing needs a little work. WAFFLES: Can you see me now? There's just something about Waffles and enclosed spaces. Bags, boxes, cubbies and Cat Balls. He just loves exploring, hiding and playing when he thinks no one can see him. It really IS like he thinks he's invisible. 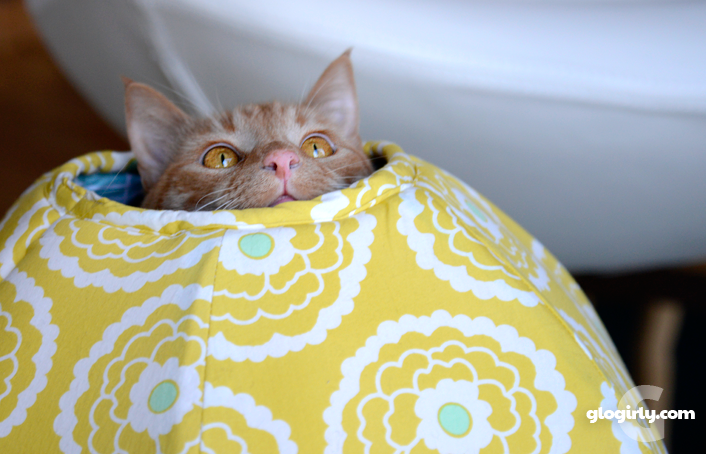 One of his favorite spots is inside his Cat Ball. 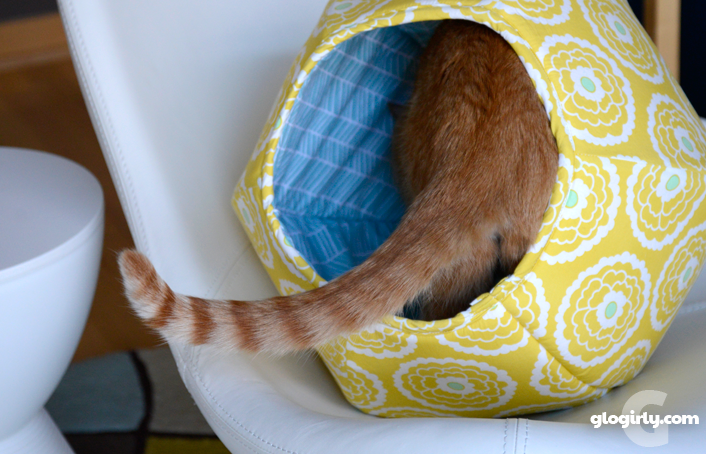 We reviewed the Cat Ball a couple of years ago and love it just as much today as we did then. This post contains Amazon Associate Links which means we receive a small commission if you click from our site and make a purchase. Gotta pay for Waffles' chicken habit! That cat ball looks like fun! But um, Waffles, I'm not so sure it makes for a great hiding place. I try da invisibility thing too - but I always has my tail out! Hmmm. 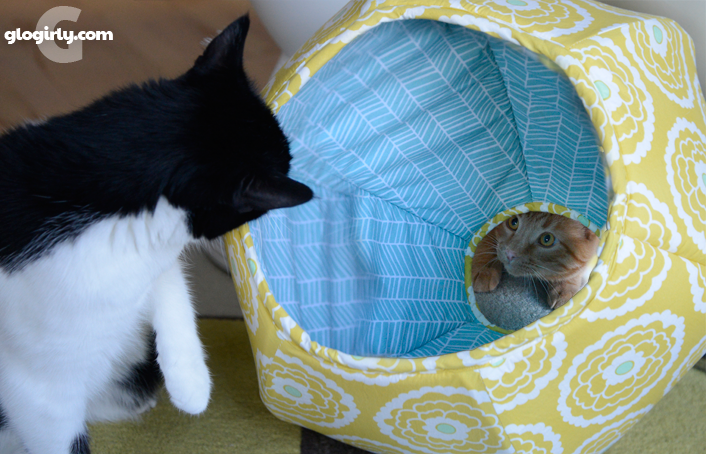 In that one picture with neither cat in the cat ball but Katie and Waffles staring at each other through the ball, Waffles looks a bit guilty (or as guilty as a cat looks anyway) ... is he hiding from Katie? And yeah, he's going to have to learn to manage that gorgeous 15 inch tail to manage invisibility :) The two of them always make my day! Waffles, your long tail does make this sooper power harder to achieve. Vashti likes to get in a cube and turn it upside down on herself to disappear! Those are some cute photos. 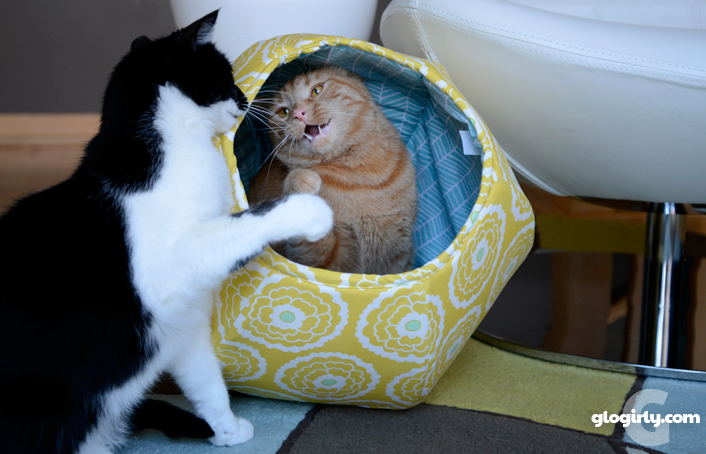 Waffles tries hard. The cat ball still looks like new. Waffles, you're a nutty kitty and a joy. Waff.. you need a cloak..
Oh Waffles, you are adorable...invisible or not! I bet I can make myself indivisible too! Presto!